My father James Keane was born in Kilclooney and the last of his family, my uncle John Keane died there in 1993. My father was born in 1897 and came to England in the late 1920s. 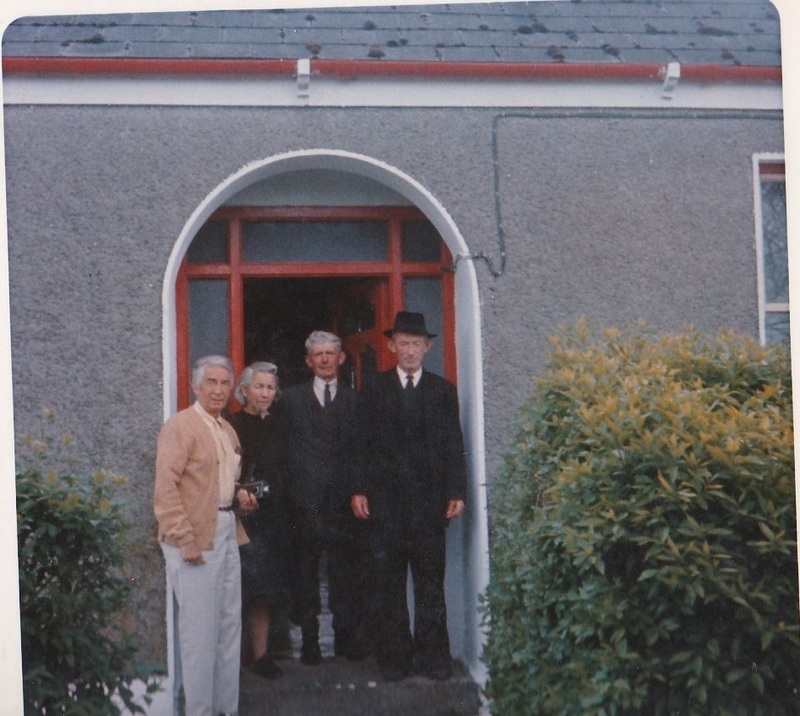 I was 17 years of age when I first visited with my parents and younger brother, my two uncles John and Thomas Keane and my aunt Molly were still living in the thatched cottage my father was born in. There was no water or electricity, water came from the well at the crossroads and fuel was the turf from their bog. They reared sheep and kept a cow and hens for their own use and a donkey to pull the cart. Aunty Molly cooked over the turf fire, I remember the huge iron pot hanging over the fire and the iron oven….a pot with a lid. I remember my mother learning how to use this to make bread and scones, the oven was placed on the turf fire and then covered with more turf to bake the bread. Aunty Molly showed me how to make butter in the dairy. We visited my Dad’s neighbour and friend Andy Murray who lived further down the lane, he was the proud owner of a radio and we were able to listen to the BBC! 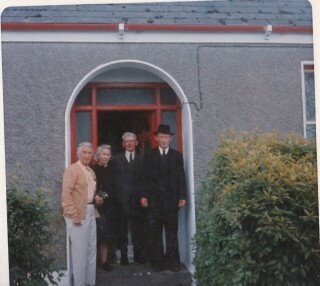 The next time my parents visited was in 1957 by then the new bungalow with all mod cons had been built, I was married with a young family and it was about 1982 before I was in Kilclooney again this time for my aunt’s funeral. My husband and I were able to visit a few times while John and Tom were still alive. Following the death of John the farm was taken over by one over the Varley family, my Grandmother was Celia Varley whose family lived in Carrowmore. 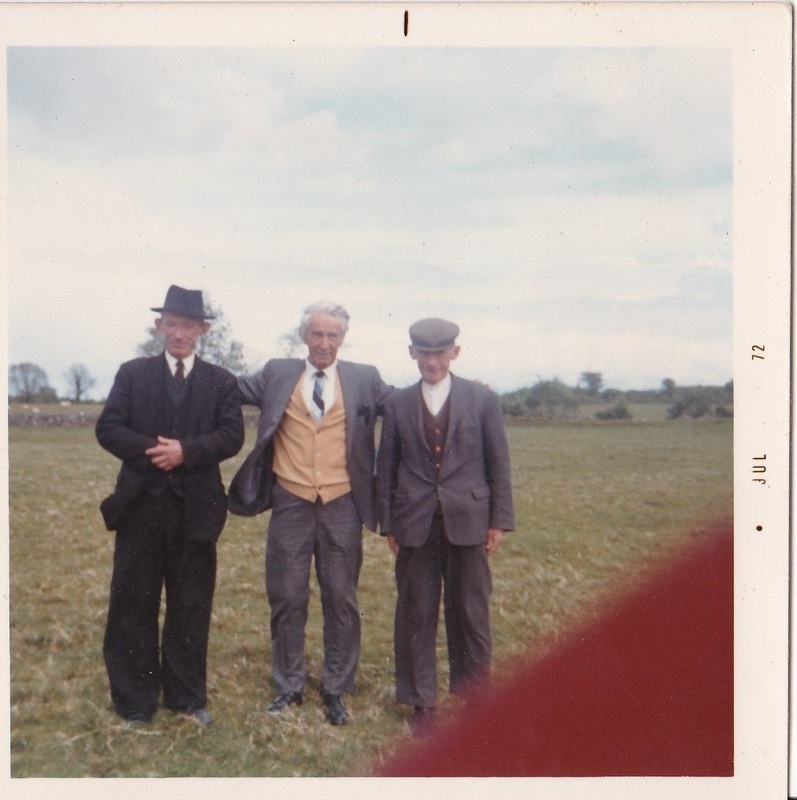 My father told me quite a lot about both the Keanes and the Varleys but documentary evidence is difficult to find. My Great grandfather James Keane (sometimes Cane or Kane) appears in the 1832 Tithe applotment Book Griffiths Valuation as being tenant of land in Kilclooney, his wife’s maiden name was ? Charles not sure of her Christian name. Sons were Michael (my Grandfather), John (America), James (Schoolteacher) and Patrick who continued to live with my Grandmother and family after Michael died. My father had a cousin who parish priest in Milltown, Fr. Concannon and he was on the Keane side of the family. I would love to be able to find more records of the family. John O’Keane was my father’s uncle. My Dad told me something of his activities as a Fenian and said that he escaped in disguise to America with a price on his head. He settled in New York, married and his son Joseph became a New York policeman before retiring to Florida. He visited Kilclooney about 1972. I never met him but he used to write to me. My Uncle John told me that Joseph insisted on spending a night in the old house, then used as a barn because it was where his father had been born. I am afraid there is no date or address other than New York. I have a book ‘Proud and Upright Men’ and it refers to the Milltown John O’Keane a team said to be named after the man it says was a well-known local Fenian who escaped to America dressed as a woman sometime after the 1867 uprising. Celia Varley was a first cousin of my grandmother Margaret Murray who married James Corless of Conagher in 1886. Celia’s mother was Margaret Connor – a sister of my greatgrandmother Winifred Connor. They were 2 of 11 sisters, 10 of whom married in the Milltown area. Between them, they had 100 children so in common with me, you must have many relatives from that connection! I remember Johnny Keane ( that’s what I heard him being called ) visiting my grandparents Peter & Mollie Donnellan when I was young. I am sure we must be connected somehow, my father’s family were definitely connected with the Higgins family, I know this from my Uncle John’s will.Ellen is a name running through the family, one of my father’s sister was Ellen but she died quite young before I was born not long after my dad left Ireland I think.